By: Zack Plair, MSU OPA. Photo by Russ Houston. STARKVILLE, Miss.— On the walls of a glass-enclosed suite in Mississippi State’s McCool Hall, students, faculty and staff are sketching in dry-erase marker plans that could positively impact not only the state’s economy, but also the nation’s.  MSU’s new state-of-the-art Center for Entrepreneurship and Outreach in the College of Business seeks to stoke the creativity and entrepreneurial spirit that will serve as the “heartbeat of Mississippi’s next generation,” said director Eric Hill. MSU’s College of Business welcomed a large crowd that included business leaders, alumni, donors and entrepreneurs to the McCool Hall atrium Tuesday [April 19] for a dedication and ribbon-cutting ceremony for the E-Center. Speakers throughout the ceremony told the story of how the idea for an E-Center grew from a small space in the Thad Cochran Research, Technology and Economic Development Park to the 2,000 square-foot hub it is today. The ceremony also honored Gerald Nelson, the first director for MSU’s entrepreneurship program who retired in 2013. The E-Center has offices, meeting areas and workstations that will be home to 16 student, staff or faculty startup ventures. Funded through $750,000 in private donations, it boasts innovative technology and a special dry-erase film on the glass surfaces that encircle the center and divide each workstation. The facility also provides office space for the new Executive-In-Residence program, which will host regional senior business leaders and entrepreneurs who can offer office hours both in-person and remotely. Overall, the Center for Entrepreneurship and Outreach supports about 100 active startups, with staff who help entrepreneurs identify and research their markets, develop prototypes and much more. Startup teams include students from 40 total majors. MSU President Mark E. Keenum, who also spoke at the dedication ceremony, said the E-Center would serve a vital role in preparing young people to tackle a world of fast-evolving technology and economic demands. 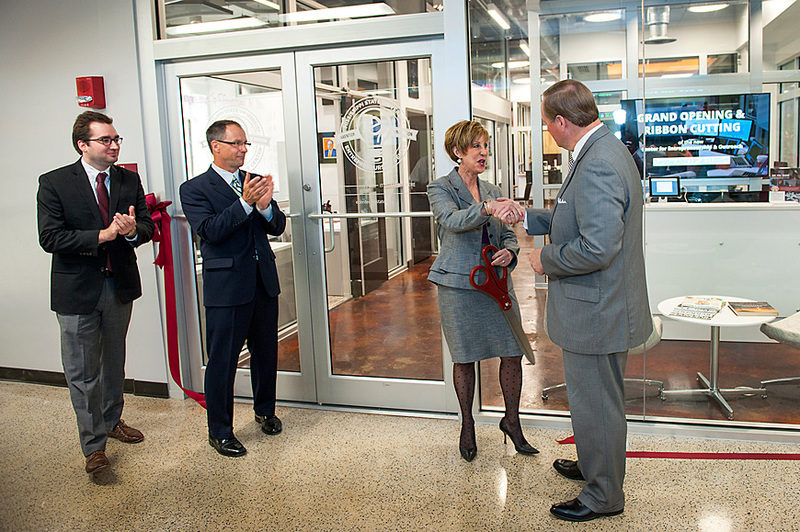 Oswald credited donors, many who were former students with businesses formed through MSU’s entrepreneurship program, as well as current students for making the E-Center a reality. She said the center’s modern, high-tech design is a combination of architect and student input. She also thanked Nelson, whose vision nearly two decades ago she said firmly rooted MSU’s entrepreneurial culture. Nelson, however, said he could hardly take credit for what he called a “team effort” that involved all the university’s colleges and departments. “If this were a team sport in the NCAA, we’d be a top 25 team every year,” Nelson said. For more information on the E-Center, visit //ecenter.msstate.edu/. Meet with our experienced team to help you launch your business.